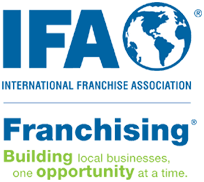 The International Franchise Association’s Annual Convention is franchising’s biggest event for business development and personal growth. Whether you’re a franchising veteran or just starting out, there are sessions designed for everyone. This is your chance to network, chart the future of the franchise industry, and grow your brand, together. IFA 2019 will provide attendees with new, exciting and inspirational sessions and events, including unique and new General Session presentation formats, as well as top-tier, must-see industry and business leaders.